The election of eighteen forty put a new president in the White House: William Henry Harrison. The defeat of President Martin Van Buren had been expected. Still, it was a sharp loss for his Democratic Party. Harrison was a retired general and a member of the Whig Party. He became the ninth president of the United States. But he got sick and he died after just a month in office. 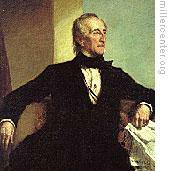 His vice president, John Tyler, became president. 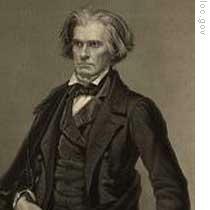 Whig leaders, especially Senator Henry Clay of Kentucky, tried to control the new president. Clay proposed detailed legislative programs for the new administration. Among them: the establishment of a national bank. This was high on Senator Clay's list of proposals. But Tyler soon showed his independence. He did not approve the plans as proposed by Clay. Tyler vetoed two bills calling for the creation of a national bank. Tyler wanted peace and party unity. But he also wanted to show that he -- not Clay -- was president. This week in our series, Bud Steele and Lew Roland continue the story of John Tyler. Clay's supporters in the cabinet did their best to get Tyler to sign the bank bills. When the president refused to do so, Whig Party leaders urged the cabinet to resign. This would show that the president, alone, was responsible for the veto of the bills. 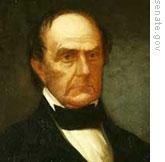 All cabinet members, but one -- Daniel Webster -- resigned. Secretary of State Webster was with the president when one of the letters of resignation arrived. "What am I to do, Mr. President?" asked Webster. "You must decide that for yourself," Tyler said. "If you leave it to me, Mr. President, I will stay where I am." President Tyler stood up. "Give me your hand on that," he said, "and I will say to you that Henry Clay is a doomed man from this hour." Tyler named a new cabinet. And there was not one Clay supporter in it. The president's veto of the second bank bill brought strong public protests from those who wanted a national bank. A large group of Whig congressmen met and voted to expel Tyler from the party. During the struggle over the bank bills, the Whigs did not forget the other parts of Senator Clay's legislative program. Clay especially wanted approval of a bill to give the different states money from the sale of public land. Tyler liked this idea himself. Many of the states owed large amounts of money. The distribution bill, as it was called, would help them get out of debt. The president was willing to support the bill. But he saw one danger in it. If all the money from land sales was given to the states, the federal government might not have enough money. Tyler feared that Congress then would raise import taxes to get more money for the federal government. As a southerner, the president opposed taxes on imports. He finally agreed to accept the distribution bill, but on one condition. The distribution of money to the states would be suspended if import taxes rose higher than twenty percent. Tyler signed the bill, and it became law. While the Whigs made bitter speeches about the failure of the party's legislative program, Tyler worked to improve relations with Britain. The United States and Britain disputed the border that separated Canada from the northeastern United States. Both Canada and the state of Maine claimed the disputed area. Britain was also angry because Americans had helped Canadian rebels. Lord Aberdeen sent a special representative, Lord Ashburton, to the United States. Lord Ashburton had an American wife. And he was a friend of Daniel Webster. He arrived in Washington in the spring of eighteen hundred forty-two with the power to settle all disputes with the United States. Webster proposed a compromise border line. Lord Ashburton accepted the compromise. The agreement gave almost eighteen-thousand square kilometers of the disputed area to Maine. Canada received more than twelve thousand square kilometers. After Senate approval of his treaty with Lord Ashburton, Webster decided that he could be of no more real use to the administration. He resigned as secretary of state. Tyler named one of his Virginia supporters, Abel Upshur, to the job in the summer of eighteen forty-three. Upshur was a firm believer in slavery. He felt slaves were necessary in the agricultural economy of the South. 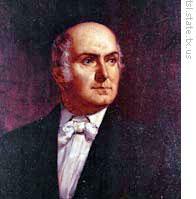 Upshur was worried about reports that Britain was interested in ending slavery in Texas. These reports said Britain had promised to defend Texas independence and to give economic aid, if the slaves were freed. Upshur and other southerners feared what might happen if this were done. Slaves from nearby southern states would try to escape to freedom in Texas. And the abolitionists might use Texas as a base for propaganda against the South. A few weeks later, before the talks could be completed, Upshur joined the president and congressional leaders for a trip down the Potomac River. They sailed on a new American warship that carried two large cannons. The new guns were to be fired for the president. Upshur was standing near one of the cannons during the firing. He and two other men were killed when the gun exploded. The president was not injured. But nineteen others were hurt. Our program was written by Frank Beardsley. The narrators were Bud Steele and Lew Roland. Transcripts, MP3s and podcasts of our programs, along with historical images, are at www.unsv.com. Join us again next week for THE MAKING OF A NATION -- an American history series in VOA Special English. Lord Aberdeen sent a special representative, Lord Ashburton, to the United States. Lord Ashburton had an American wife. so the Britian and the America were and are family of sharing common language and same cultures.